The Children's Medical Office Building is located on the Scottish Rite hospital campus directly across from the Emergency Department entrance. Parking is available in the garage next to the building. There is a fee to park. The attendant accepts checks, cash and credit cards. A department of Children's at Scottish Rite hospital. At the Children’s Center for Craniofacial Disorders, we evaluate and treat craniofacial (head and face) conditions in children from birth to age 21. Our office is located in Suite 200 near the entrance to the Judson L. Hawk Jr, MD, Clinic for Children. 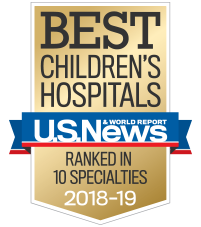 The Children's Physician Group general surgery team offers comprehensive, advanced surgical care to infants (including newborns), children and teens with a wide variety of illnesses, conditions and injuries. Our office is located in Suite 570. Clinic visits are by appointment only. Dr. Childress also participates in the Children’s Pelvic and Anorectal Clinic located in Suite 200. At Children’s Physician Group, our neuropsychologists treat a wide range of neurological conditions. We offer many services and evaluations to meet the unique needs of our patients. Our office is located in Suite 180. The Children’s neurosurgery team has experience with neurosurgical conditions ranging from the most common to extremely rare. Our multidisciplinary team treats only infants, children and adolescents, so we understand their physical and emotional needs. Our office is located in Suite 540. Mon.-Thurs. : 8 a.m. to 6 p.m.